If you have been asked by a friend or relative to post their bail you no doubt will have a few questions about bail and the bailing process. The following are some of the most frequently asked questions on the topic. Should you have any other questions don't hesitate to reach out to a professional bail bondsman who can assist you in your search for answers. In its simplest definition, bail is the the allowance of a person charged with a crime to be let out of jail as they await for their case to be heard in court. 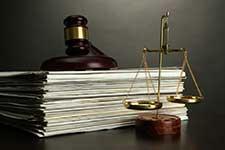 To obtain bail some sort of collateral, generally cash, must be put up. Bail allows for the defendant to get out of jail, thus giving them the opportunity to continue working, find a lawyer and get their life organized prior to their court case. Does bail discriminate against the poor? There is often chatter that bail discriminates against the poor, as bail amounts can be extremely high for even relatively minor crimes. While not everyone is likely to be able to affordable ridiculous bail amounts, most people can afford a bail bond, which is another way of posting bail. Who is eligible for bail? Bail is a constitutional right. This means that everyone who has been charged with a crime is eligible for bail, except in extreme circumstances. Who is not eligible for bail? People who are deemed highly dangerous or a flight risk may be denied bail. This is a judge's decision. When posting bail you need to put up the full bail amount, which can be extremely high. You will get this money back at the resolution of the trial, assuming the defendant does not flee, minus a small fee. However, most people don't have tens or hundreds of thousands of dollars available The other option is to use a bail bond, which can be posted after paying a one time, non-refundable fee of about 10 percent of the total bail amount. If you are searching for a bail bond in Marin County or the surrounding California communities be sure to contact 5 Star Bail Bonds. We offer high quality, fast bail bond services throughout California. To learn more, or to request a bail bond in San Rafael at any hour of the day or night, call us at (415) 479-4800.